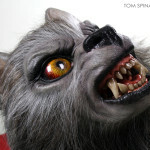 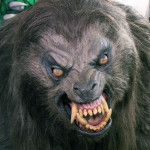 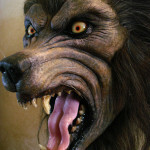 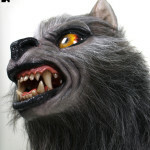 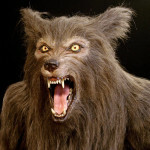 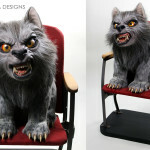 A life size werewolf puppy… a statue in need of a leash! 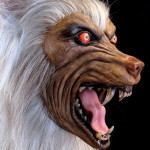 A puppy version of one of our favorite movie costumes as a life size werewolf statue? 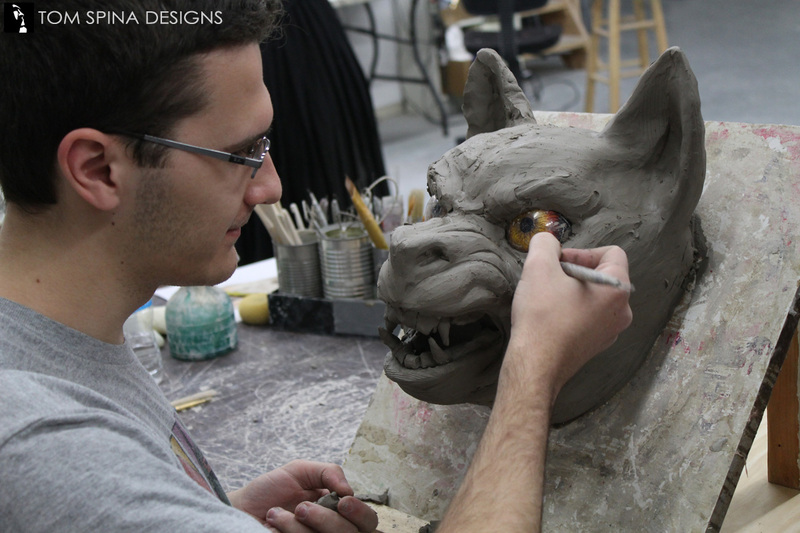 That’s when we know for sure that our clients are THE BEST! 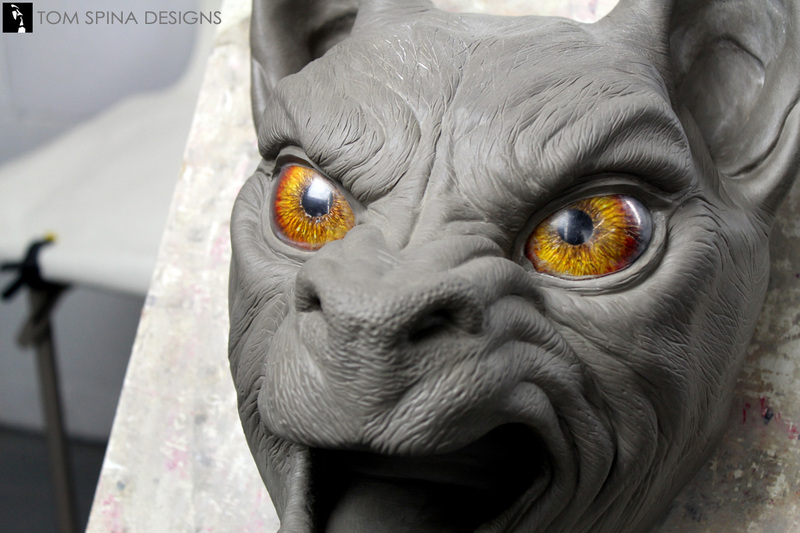 We jumped into this sculpture project and created a really cool and BIG puppy figure! 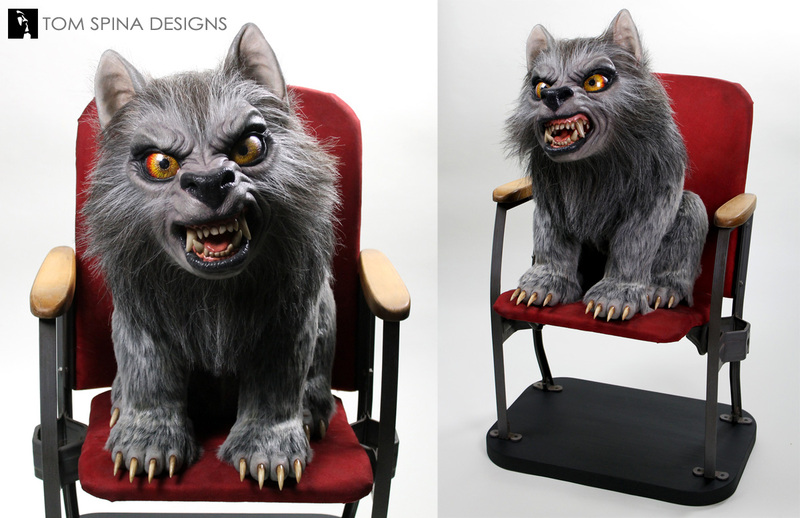 The finished prop/doll has a ton of life and is both cute and creepy. 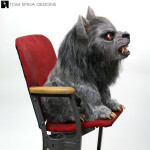 You can almost hear him howl! 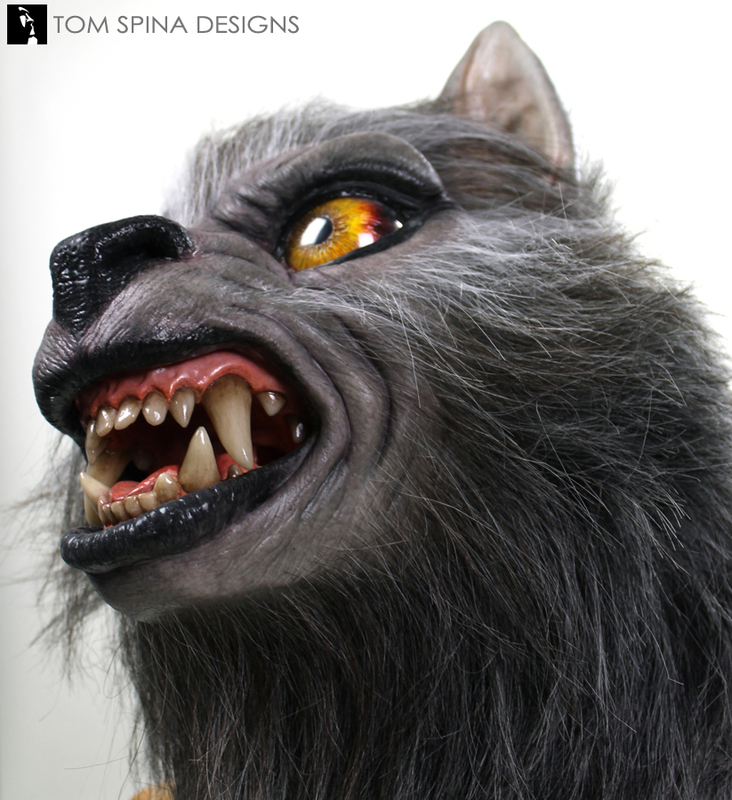 The silicone wolf head sculpture is hyper-real, with hand punched hair, custom translucent resin teeth and custom eyes with amazing depth. 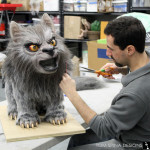 The head fur comes from our good friends at National Fiber Technology, the top industry source for movie fx hair. 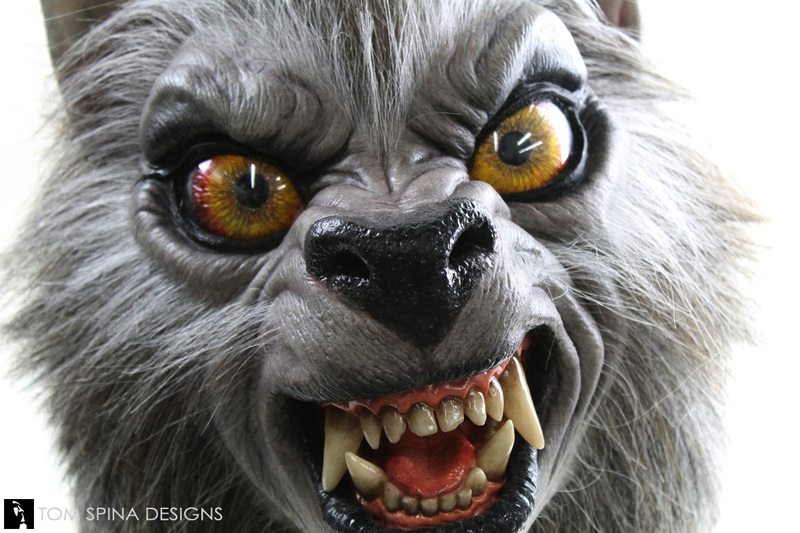 The body of the life size werewolf prop is a hand carved EPS foam piece, with silicone paws and resin claws to match the teeth. 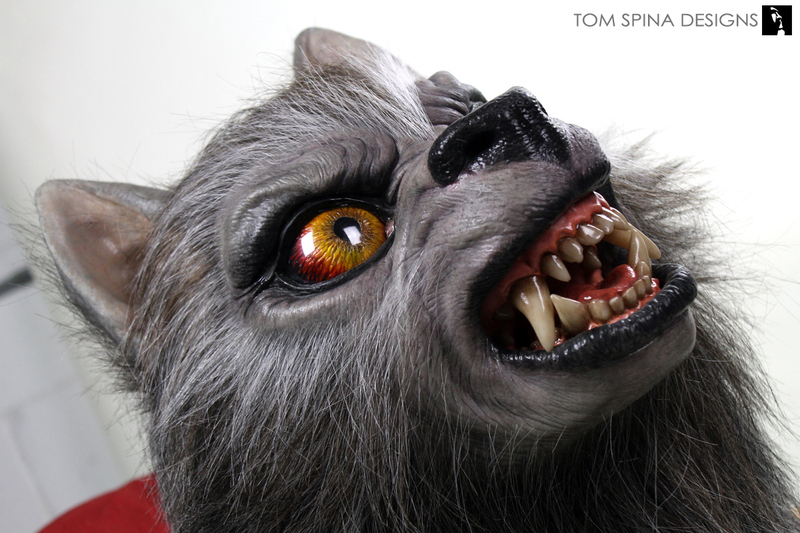 A lot of time was spent on this statue, to be sure we were paying a proper homage to the classic Rick Baker werewolf from the 1981 movie. 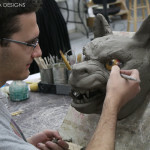 This realistic silicone sculpture involved the creative efforts of many talented people, including: Steven Richter, Tom Spina, Michelle Nyree, Patrick Louie, and Melissa Dooley. 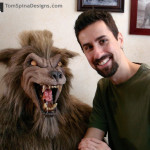 And of course, this project would never have come to be without the incredibly inspiring work by movie makeup FX legend, Rick Baker! 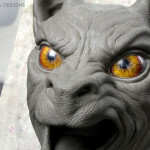 Thank you Rick!! 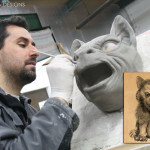 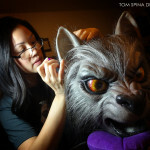 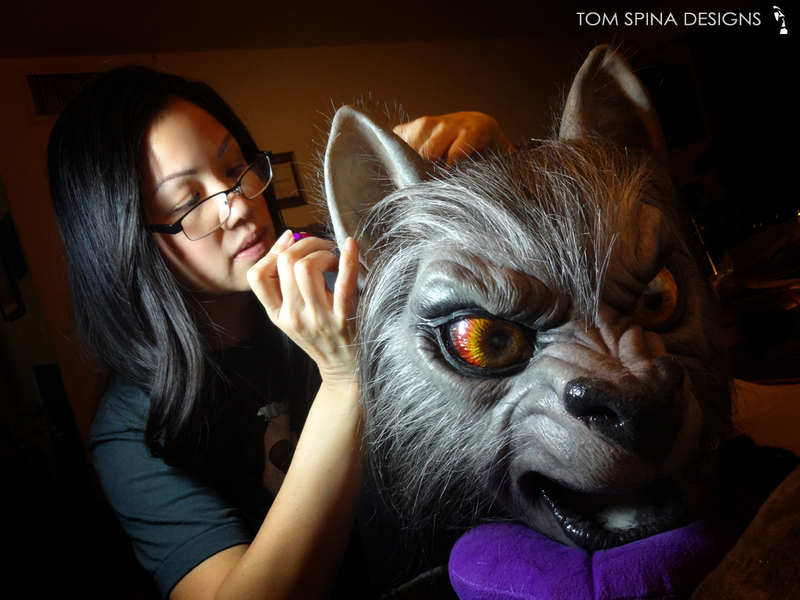 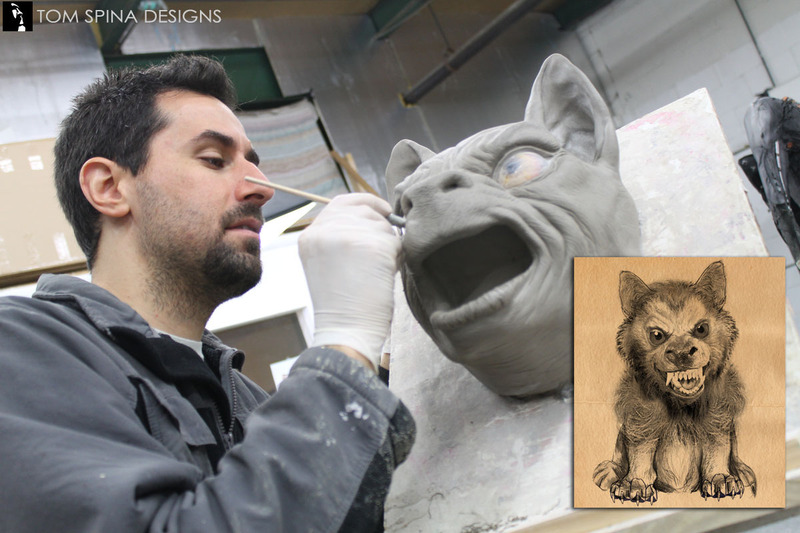 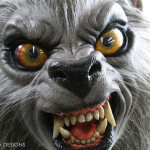 Want your own custom werewolf puppy or statue?